Recently I passed extensive training on ORSC – Organization and Relationship Systems Coaching. Not sure if you know ORSC, so let me introduce it first. ORSC is a coaching model where we focus not on the individuals but systems and the relationships in it. System – for your understanding – could be anything like pair, group of people, team, department or organization. The latter mentioned are exactly what makes me interested and curious. Coaching teams is something each Scrum Master is doing so let’s get some different framework which can help here. Coaching organizations as an entity could move Agile transformation to the next level and give Agile Coaches another tools how to make it happen. So I was in. The whole program was divided into five classes – Fundamentals, Intelligence, Geography, Path, and System Integration. I passed the first ORSC class in London and the rest in Toronto. It’s always great to combine work and holiday and Canada was just awesome 🙂 In between of classes I’ve got some time to try individual concepts at my clients and got used to the new models, terminology and approaches. I’m going to share a couple of my favorite concepts which I found easy applicable in Agile environment. I apparently knew this concept for a few years as it has been introduced at Agile Coaching Institute class: ‘Moving to the Next Level’, which was created together with ORSC leaders. However, it took me some time before I fully understood the importance of such agreement. What is it about? Seems to be simple – let team agree how they would like to be together, what makes them great team, and what are they going to do if things go difficult. Actually it’s quite similar to the retrospective with exception of the fact that you do it up front. You might link it to the futurespective, as that is a kind of similar as it looks forward, but it’s still something else. With DTA we focus on relationships and not so much on the particular potential problems and solutions. You need to coach the team to stay out of those concrete solutions. Because even if they brainstorm a lot, they never come up with every possible future issue. So we are looking to the system from the top, trying to straighten its connections to survive any potential difficulties. Don’t forget we are not solving or preventing potential issues, but agreeing on the way how we are going to solve such situations in the future. When you start to look at the group of people as a system, which you can imagine as looking down on the team from few kilometers / 10 thousand feet high distance, the particular issues and problems are not so important from that point of view. You are focusing on the linkage among the people instead of individual persons or their problems. From such viewpoint this System Rule – Everyone is right but only partially – is extremely helpful. It helps you to coach system and don’t let yourself to take sides. Moreover, every system is intelligent by itself. It will tell you if there is something wrong. And your entire job as System Coach is to listen for those signals and reveal them back to the system so that the system can react and possibly solve the issue or improve itself. You are not here to solve it for them, you shall only help them to straighten their relationship, and let the relationship to fix it. We, Europeans, are never using so much of an appreciation as our US colleagues. And it’s been a challenge for me and also for one German girl during the class. However, despite on how silly it feels, it works. So I’m going to appreciate more. Even if it is painful. The second concept which is actually quite connected to the appreciation is positivity. Especially for always complaining Czech society it’s extremely useful :). Did you know that good teams have its positivity: negativity ration at least 5:1? And how is it for your team? Positivity will not just happen, you must garden it, search for it, help it to become an integral part of your system. There are four toxin behaviors which team should avoid. Defensiveness, Blame, Stonewalling, Contempt. Everyone does bit of it from time to time, however just educate on them would limit their dominance. So my learning point here is to educate teams on toxins, and coach them to understand the impact of them to the team health. I believe the awareness by itself will help team to be better. Finally, there is a concept which made my day. At the beginning, it had been completely incomprehensible. I was lost. Our trainers mentioned we may only get it at the end of the module. But I was completely desperate. What the hell it means? But sometime during the last day of the module it got to me all at once. And I realized that understanding this concept is a key factor for thousands of situations I’ve been trying to improve in my Agile Coach work. And here is my challenge with it. It took me full three days to get it, so how am I going to arrange such experience to my clients in much shorter time? I guess using the ORSC coaching framework. But still, it’s a challenge. What is it about? That there are three levels of reality. Sentient Essence Level, Dreaming Level, and Consensus Reality Level. And you often need all three to succeed. And me as a System Coach can help to navigate individuals, teams and organization through essence to start dreaming and through that understand or change their consensus reality. It’s very powerful. And if you feel like ‘too fluffy’ or ‘what the hell is interesting there?’ just note I’ve been struggling a lot with it at the first time as well. Finally, would I recommend you passing ORSC training? It cost quite some money so it’s better to ask, right? I would say it’s been one of my best decisions. However, I believe you need some Coaching education and experiences before you go on and sign up. 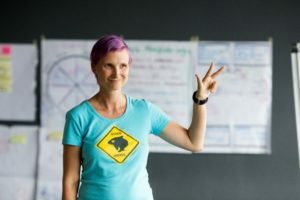 For that background I would recommend you start with Agile Coaching Teams and Agile Facilitation class – both classes are from Agile Coaching Institute. 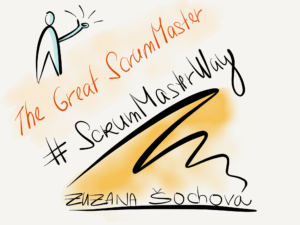 And then go on with ORSC – which I would recommend to all Scrum Masters who want to move their role to the next level and focus more on the organization and systems then individual Agile practices. And to all Agile Coaches, because without it you are not true Agile Coach.